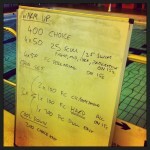 Building: within each rep of the build set the swimmer should increase their speed from slow to fast. 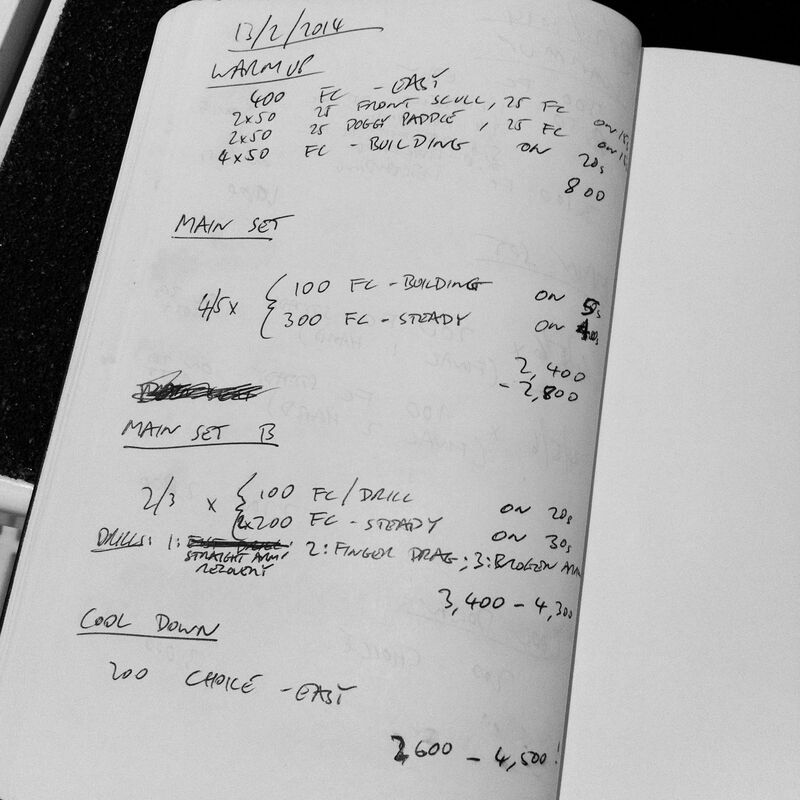 So when I give “2x 50m front crawl – building” I’m expecting the swimmer to start each 50m easy and pick up the speed to finish that 50m hard. Speed is building within each rep. Descending: within a descending set each rep should be faster than the previous one. 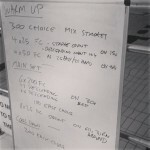 So when I give “3x 100m front crawl – descending” I’m expecting the first rep to be at an easy pace, the second steady and the third fast. How each individual rep is paced isn’t so important, but each one should be faster than the last. I know, it’s called a descending set yet the speed is increasing – this is what confuses most people. Speed is increasing, but this means the time taken for each rep is decreasing, you’re descending the time you take. 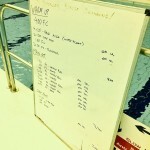 Given swim coaches are usually watching the pool clock to time reps from our perspective the set is descending. I doubt this will be the last time I have to explain these terms. 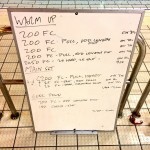 There’s a lot of variation within Tuesday’s set reflecting the broad range of abilities that come to the two sessions. Stronger swimmers get more distance and more of the higher intensity reps, while the weaker swimmers have a more manageable load and are given more opportunity to focus on improving their stroke. What we actually did this morning. 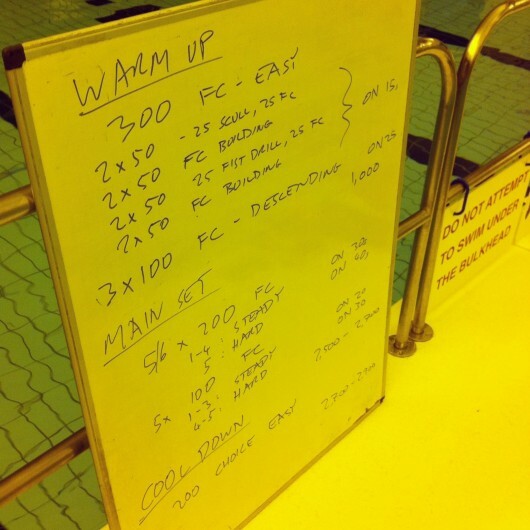 Thursday has also become far more varied as we’ve restructured to allow swimmers to book in for either an hour or the full 90 minutes. Sessions will now be planned with a main set that finishes at the hour and an additional 30 minute set for those carrying on. As the only swimmer to book in for the full session today was competent in all the strokes I switched the end of the session to incorporate some medley.